Contemplations on Value & Money. The Lost Art of Bartering, Part 2. "I'll give you $5 for them." Nowadays we almost always expect to pay the asking price, yet if you've ever resold anything at a garage sale, you've likely had at least one person make a counteroffer, or ask if that was your rock bottom price. The first time this happened to me, it caught me off guard, because I assumed everyone else would simply pay the asking price as well. About the only times we expect counteroffers is in buying houses and cars; we expect some negotiation before agreeing on the final price. Yet at one time, negotiating or dickering, as it was called, was common practice. Each time he tossed something on the (saddle) he yelled, "Fifty!" And each time I tossed something better on the (other saddle) I went up fifty cents or a dollar on my offer. "Well," I said, "I'll tell you what I'll do. I'll give you $85 for both outfits together...." Half an hour later we made our deal. After he'd watched Father work for awhile, he said, "You seem a pretty handy sort of fellow... I wish I could get you to come and help me get fixed up. I'd give you three dollars a day for your time, or trade work with you, or trade something I might have that you wanted." Ma and Laura and Mary ate bread and molasses in the wagon, and the horses ate corn from nose-bags, while inside the store Pa traded his furs for things they would need on the journey. Then one afternoon Pa came merrily whistling up the creek road... As soon as he saw them he shouted, "Good news!" They had a neighbor, only two miles away on the other side of the creek. Pa had met him in the woods. They were going to trade work and that would make it easier for everyone. "Here's a piece of luck!" Pa said to Ma. Those men were cowboys. They wanted Pa to help them keep the cattle out of the ravines among the the bluffs of the creek bottoms. Pa would not charge them any money, but he told them he would take a piece of beef. "Well, Ma'am, I'll trade you the milk-pans and pails, the colander and the skimmer, and the three baking-pans, but not the dishpan and that's my final offer. " "Very well, Mr. Brown," Mother said, unexpectedly. She had got exactly what she wanted. Even today there are, in some parts of the South, old timers who still refer to shopping as "trading." They will tell you they trade at such and such a store. Of course now they trade money for goods, but it points back to their own lives "back in the day." In other parts of the world, negotiating, more often called bartering, is still common practice. Many markets in other parts of the world still practice it, which American tourists often fail to understand, to their sad disadvantage. "We entered the barter world about 6 months ago. I needed some work on the farm and had friends with teenage boys. I agreed to pay 2 dozen eggs per hour for each teenage boy. It gave them a chance to work and they rec'd something tangible to provide for their families. I fell in love with barter. However, it is getting harder to barter as we go deeper. Primarily with friends. 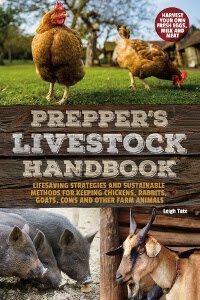 The production on my homestead is my work (versus a day job) and has value. At times I give things away b/c I want to, other times I want to barter instead of using money. When you start bartering, it is harder for each side to accept genuine gifts b/c you don't know if you should give something in return. What is barter and what is sharing with friends? Whereas at a merchant, give $ and you are done. I've tried to be clear about what is a gift and what is barter, but I feel I start sounding too business with friends. It is weird and I don't like it. I prefer to be done when completing a transaction. When I barter with people we're not close to, then I feel the transaction is complete and much easier. When I barter with friends, I am so worried I've short-changed them or they have the same concerns about me. It is just not easy to be done. This is an area in our society that needs to be developed. It is not widely accepted b/c small farm items are not seen as commodities by many unless they have a sticker from another country. But our fruits do have value. After my friend comes home from outside work it would be considered rude of me to walk over and ask for $100 that he earned that day. It is really no different when someone asks me to share my farm production just b/c I have it, without offering anything in return. This is a delicate dance and relationships can be strained when you get serious about bartering on a routine basis." I mention the last two, because we had another experience with bartering, which had unexpected results. We were trying to buy a vehicle from a new acquaintance, and Dan made a ridiculously low offer. We were expecting a counteroffer, but instead there was a very long pause, and then his offer was accepted. We were both surprised but grateful. Unfortunately, the seller later regretted the outcome because he held a grudge against Dan for as long as we had contact with them. This was puzzling because with vehicles especially, negotiating is expected. On our end, we knew our limit based on how much money we had. If it didn't work out, that would have been okay too. While we don't know what the seller was thinking when he agreed, the lesson learned is that in a bartering system, there is no place for being noble or indecisive. The true success of the deal depends upon both parties being satisfied with the outcome from their personal perspectives. Each party must respect the other person enough to accept their decisions. If nothing satisfactory can be agreed upon, that's just as okay as if an acceptable deal is made. Many of us have a goal of self-sufficiency, but in reality, the true agrarian lifestyle requires a community of like-minded folks. (See my earlier post, "Mindset: Key To Successful Homesteading?" ) The problem throughout history however, is that there are always those who want to profit beyond their needs. Nowadays, our modern profit economics mindset makes us think this is supposed to be normal. From the examples we see this is not true. However, I mention it because it would seem to be one of the pitfalls in bartering a deal. Other pitfalls we need to be aware of is that not everyone is honest in their dealings and representation of what they have to offer. Others, just love to play mind games. They love to get "get one over" on somebody else for the sense of power it gives them. I don't have any answers for these, they are just things we need to be aware of. I should also mention that the government wants a cut from these transactions as well. You'll have to research this for your own particular locations and situations, because like other tax laws, these are complicated, confusing, and continually changing. The bottom line seems to focus on "gain" and its monetary equivalent. What is interesting to me, is that the books I quoted from, were written about the time period of the late 1800s and early 1900s. It is evident from them, that the money valuation mindset was not entrenched in society as it is today. Our modern mindset is just that, modern, and was not the way life was conducted until urban migration. A long post, but hopefully one of interest? I called it "Part 1," but at this point, "Part 2" is up to you. Please share your own experiences, thoughts, and opinions in the comments. If there's enough of them, I will try to compile them later for a follow-up. This is something we may all have to learn together. 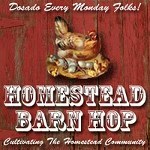 This post is part of the Homestead Barn Hop #34. Click on the icon or link for more, or to join in. Leigh, what an outstanding post ! You obviously put so much work and research into this. My husband and I, farmers for 18 years, barter and trade often with several of our neighbors. Meat for mechanical work, honey for truck borrowing. As we get closer to being off the grid I become more comfortable about NOT recording what has been traded to who for what but for now we do keep some items "on account". Last year we traded enough of our raw milk over several months to get two full size commercial freezers to keep meat in our farm store. Best barter for bothe parties ever ! I believe TRUST is the key reason some folks are afraid to barter, always feelful they might be cheated. Isn't that sad? Interesting post, Leigh and your observations are "spot on". I think it's "easier" to deal with money. It's less personal and bartering can be VERY personal. Personal. When I "negotiate" at the FM for produce, the "distributors" will deal on price, the actual farmers rarely do. It's too personal for them. I'm not in a position to barter other than with what I call "being neighborly". I give produce to my neighbors, they watch my dogs. They borrow our truck to haul something, I call them to help me lift heavy things that need moved. I have heard many that are upset over the barter tax, but from what I understand, that it is proposed because large corporations actually have services where business trade for goods and services and are flying under the tax radar. There are several of these companies that have approached my Husbands company. They can broker large deals for companies that will otherwise be untaxed. It was never meant to be for us individuals trading milk for eggs or a barn cleaning for bread. So no need to worry...yet. I LOVE bartering. A local sustainable farmer needs help getting potatoes in... so I help get in his potatoes and get a 50 pound sack of potatoes for my work. It's a lovely way to help one another! Donna, that's what I love to hear, a success story. I agree that trust is key. Sadly that's something that seems to be largely lost today, along with common courtesy and common sense. Theresa, I wish you'd share some of your tips with us. A love of negotiating does lend itself to success. Tami, it is easier to deal with money, but I think only because that's what we're used to. I imagine our set price system would be very frustrating to someone used to negotiating for everything they bought. Still, your examples are the kind of things a community ought to be doing. It may not be bartering per se, but it is the kind of sharing and caring that make community a joy. Jane, in researching for this there was a lot about that, and government crack down on businesses trying to get around paying taxes. Then I read things like Michigan tried to pass a bill to tax garage sales. It probably will boil down to local laws and customs, which is why folks should be aware of theirs. Sharon, that's a wonderful trade! And you're right, the heart of a deal like that is helping one another. Everybody benefits. We do not hesitate to make offers at yard sales, flea markets, or even thrift stores. My husband has taught me this skill and although I shrink from it, I see its value. As for bartering chores, etc. on the farm, we are currently in a trade arrangement with friends and our goat. We could no longer feed her and were going to sell her. (Lost rights to grazing land.) A friend with a herd of dairy goats found out and offered to take her, give us 1-2 gallons of milk per week and she gets the rest of the milk for her shareholders. She's been there the better part of this year and it has worked out for our common good. We did draw up a contract and are flexible with each other because we are friends and fellow homesteaders. Great post. Looking forward to part 2. What a great, informative post. We barter alittle on my little place but I find it easier at times to sell my eggs and hens/roosters because it is the end of the transaction. With my friends I have tried the bartering "my time" by helping out at their place and they will come and help out at my place. With some friends this works out but with others...their coming to my place never happens. Then at times I just like to help. 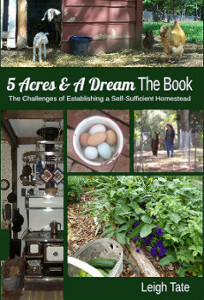 I am glad I found your blog because I am so interested in becoming more dependent on my homestead. Thanks for visiting my blog yesterday. I find it very difficult to barter, which is probably due to not being used to this. I was raised to shop in a supermarket - and because they are rarely manned by the owner, there's no way to barter anyway! and in exchange for the goods I make - I usually felt short-changed here, which is why I don't do it anymore. doing things for friends is different, but in a way even more difficult, because you don't want to strain a friendship by asking for maybe too much... a lot of room for improvement on my side, I am sure, but around me the only place where people still barter is in bric-a-brac etc. - probably because it's fun and they don't necessarily "need" the product? I love this post! My husband and I barter whenever possible. You found some great examples of bartering from LHOTP, and there are also some great bartering happening on The Waltons, my favorite TV show. My husband likes to TRY to get a deal when we're shopping but he usually comes in with an offer so low that the seller becomes insulted. I've managed to save the deal with offers that are much more agreeable. However, normally I'm happy to pay the asking price. Just a wonderful indepth post, I enjoyed it alot, we do a fair amount of batering in our neck of the woods. It was interesting on a trip back home to my mom's we meet a lovely couple and when we got talking I said that I barter back home on the farm, they thought that was amazing as their were from countries that bater was natural but since moving to Canada, had never seen it and asked alot of questions on how it was done here. I hope to see lot more trading in my future.. Thanks Sherri. Your comment highlights what I think is one of the most difficult things for most of us, assessing value apart from $$. Plus you point to the element of compassion, which is so important. And I think your conclusion is spot on, considering how well bartering worked for millennia. Carol, excellent barter. Good idea about a contract too, especially in an ongoing situation like that. Connie, thanks. Your comment brings up a couple of good points. That feeling of closure in a barter seems to be elusive for some folks. Then there's not reciprocating on an exchange of labor. I think I'd be calling the folks who hadn't returned the favor and saying, "we're ready to do thus-&-such and we need your help. Is friday or satruday better for you?" Bettina, hand crafted items are tough as it is, even with money. That was one thing Dan could never settle on with his pyrography. If is sold for the asking price, he wondered if he charged too little. If it didn't sell, he wondered if he was asking too much. And as we know, the maker never gets the true value in terms of time and materials. I did once trade handwoven scarves for handcrafted pottery. It was at the end of a craft sale and nobody wanted to take all their stuff home, LOL. Worked well at the time. Peaceful, way to go! It's just a matter of finding the right person to talk to I reckon. Candace, I never watched much of the Waltons so thank you for mentioning that! Might be another good resource for us beginners. What a great post, Leigh. I'm very aware of bartering, as my husband developed the skill, during his travels with the military (where it's very common, if not expected, in particular countries to barter or at least, negotiate). One memory of the past few years, was a neighbor that had a piano for sale. It was out of reach (price wise) yet would have been perfect for our musically inclined daughter. So, my husband negotiated some lawn work in exchange for it. He's also bartered his skills or other things in exchange for things we needed or wanted. And love the Little House on the Prairie references (we watch the episodes frequently). I think this is the first time commenting on your blog, although I've read a post or two from Sharon's blog. You're posts are always entertaining and informative! Interesting post...and one that I will be giving much thought to now that we live in the country. I have not had the occasion before to try bartering, other than for a vehicle, house or at a garage sale. But I think you are right that it is a lost art, and given the economy, one that may just be making a comeback. Especially if Uncle Sam wants his share! We're not much on dickering, but both my husband and I are self-employed with what are considered "real" businesses (a large animal veterinary clinic and fine arts/graphics design) and we have traded out in lieu of being paid cash for work. Ellie, thank you. Funny how different things are in other parts fo the world. Sounds like your husband bartered a great trade, for something useful for both sides. Sittin.n.Spinnin, thank you so much for visiting and taking the time to comment. Now I'm gonna have to go read your blog post! BRF, I agree, it will make a comeback and I think already has. Look how many of us are talking about it here! I'll be interested if folks share their learning experiences on their own blogs. It's a skill we all could benefit from it seems. Michelle, that's a great way trade. It's an excellent way for folks to share their skills and help others. Great post! Bartering is such a part of my life - usually services for services, and, like you said, both parties should walk away satisfied. I can sew just about anything and these skills have gotten me repairs on my house and vehicles over the years, things I can't do. Bartering should be more a part of our lives rather than the exception. Can't wait to read part 2. Wonderful post, Leigh. I really enjoyed it. Barter is something that I am becoming more acquainted with. I traded some chickens and a couple of dozen eggs for a second refrigerator to store my surplus eggs in, and shortly thereafter the frig went out on me and I needed to repair it. Well, the repair man said he wanted eggs as part payment for his services. He said he had just received a couple of jars of plum jam from another customer and he liked getting the home grown food instead of being paid in all money! Then, this year, I traded 55 pounds of organic Red Cloud potatoes to a neighbor who owns an earthworm business for a couple of bags of earthworm castings. It seems that bartering is definitely on the upswing in our area. I LOVE it. Lots of good points here about bartering. Different people see it differently. I think there is something noble about trading with others. You wouldn't accept an invitation to a pot luck supper without bringing a dish to pass. Barter gives everyone an opportunity to be useful to one another. But some people are uncomfortable stating their position before, during, or after a negotiation, and that can be a problem. For instance, if they don't state their expectations clearly, somebody may feel cheated afterwards. Communication is really important. I once wrote a post called Let's Make a Deal to try to persuade women (because most men don't seem to have as much trouble with it) to ask for a deal and be willing to try it. I think it all boils down to placing a value on something that means something to you. Part of making a deal is the willingness to walk away because it doesn't speak to the value you've already placed on it. I also think that when the dollar fails (because it is fiat money and hasn't been backed by gold since the Nixon administration) or when hyperinflation occurs because of the same reason, bartering will be the new black, or maybe I should say, it will keep you in the new black, because if money becomes worthless, then other things will be assigned worth, and they'll be traded instead. Benita, thank you for sharing this, more success stories! Joyce, thanks. Sounds like you've got some good trades under your belt already! Barter411, thank you. Saying communication is important really hits the nail on the head, I think. As you say, people bartering differently, and they valuate goods and services differently. Someone else pointed out the need for trust, and straightforwardness would be a part of communicating. It's true that as a culture we have become vague in our communications, almost like we're playing a perpetual guessing game with one another's meanings. Paula, I'll have to go and find that post. I think the being able to walk away part is difficult for some folks, because they feel committed the moment they start. I figure that's where respecting one another's decisions comes to play. Either party should feel free to walk away if need be, no reflection on the relationship! Thanks for the good points. As usual, a very well-researched, informative, thought-provoking post. You set my brain in gear and I've just realized we do our share of bartering on a fairly frequent basis! I can think of two parties that we barter with and I think I'm safe in saying that both we and they think we're getting the better deal! How can that be better? I both agree and disagree. There is a difference between bartering (trading in non-monetary goods) and bartering (dickering over price). While I do agree that fiat currency is an confidence job (con-job), I feel it is important to distinguish between fiat currency and money. Money is simply any common unit of account, and that is a very handy thing to have when striking deals with people. My neighbor and I have an agreement that he will plow my driveway and I will supply him with venison, eggs, and cider in return; but determining the amount of food stuffs was a little bit tricky. How do we price out a fair trade amount? In the end, we priced my goods at grocery store price, and his plowing at the local commercial rate. Both of us are willing price our goods at a lower rate, but having some common measure of value allowed us to come to a fair rate of exchange where we both were able to agree that neither of us was getting ripped off. Another major benefit of money is the ability to save it. I can trade my fresh lettuce for dollars all summer, then in the winter trade my dollars for snow plowing. My employer trades his apples in the autumn for money, which he then trades for karate classes for his son; the karate instructor doesn't like apples. I believe you are tackling several issues that are distinct from one another: money, wealth, and long-term investment mindedness. Money is just a unit of account. Wealth is how much stuff we have stored for future use (maybe money, pork, or wheat). Long-term investment horizon just looks at what kind of wealth we will need in the future. "dickering over price" should be "negotiating". This is a better term. We can negotiate with, or without, money. We can also engage in trade with, or without, money. Mama Pea, you're describing what should be the best outcome, that both parties feel they are getting the best deal for the trade. In regards to the homeless man, he's actually being upfront about the terms of what he'll agree to. Hopefully there was someone who really needed a little help and was willing to feed him! Jeff, you're describing what a lot of folks are struggling with in terms of the bartering, i.e how to set value. That's the issue I'm actually tackling. In fact, this post is actually a follow up to my Contemplations on Value & Money post, where the topic got introduced. The comments to that post were interesting, as folks were divided as to whether they felt money was the only way to assign value. In our day and culture, we're most familiar with (and consequently most comfortable with) $$$. While we tend to want to use the medium we're most familiar with, folks need to realize that a trade doesn't have to be based on a money standard. It can be based on whatever the two parties agree to. This is how it's been historically, and still is in many parts of the world. The bottom line is that no matter what's traded: money, services, or goods, that both parties feel satisfied with the deal and the method of obtaining it. Sounds like you and your neighbor reached your agreement in a manner that was acceptable to you both. That's key to a successful barter, to which I would say, well done. Anonymous, thanks! Very cute and very appropriate for the subject at hand. Quite interesting as well, that kids should be so comfortable with trade negotiations at their own level of interest. Considering that bartering has been around longer than money, there must be something rather natural about it to the human psyche. My husband has starting pricing his chickens high on purpose after having the majority of his buyers wanting to negotiate the price down. He actually expects counter offers now. Laura, that's what I'm learning to do as well. It's a lost way of life, really, that I think is making a comeback. That's something I'm glad of.